Known for its rugged mountain areas, beautiful wilderness, and largest coastline on the planet. If you’re the kind of traveller who prefers luxury and relaxation to camping and adventure activities, you could be forgiven for thinking that the country is not for you. 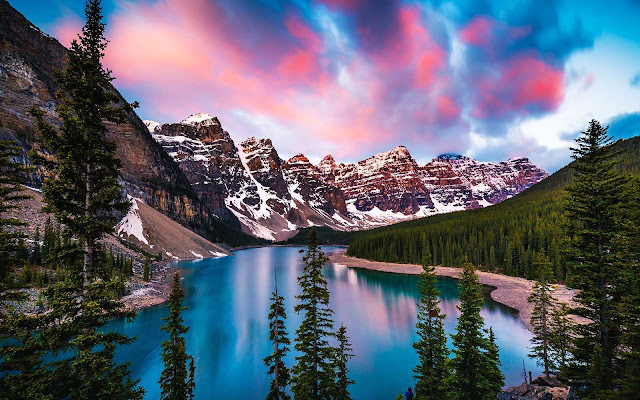 However, there is much more to Canada than meets the eye, and you might be surprised to learn that Canada is home to some of the best spas in the world. Alberta is home to some of the most beautiful scenery on the planet, so you know that you’ve found a really great spa when you’d rather be relaxing inside than exploring what’s outdoors. The Willow Stream Spa is one such place. Situated in the Fairmont Banff Springs, this huge spa facility is home to three waterfall whirlpool, a European-style mineral pool, and a resting lounge complete with roaring fire, amongst other things. If you’ve been to a lot of spas and you think that they can’t surprise you anymore, take a trip to the Ste. Anne’s Spa in Ontario and prepare to have your mind blown. Located in the little town of Grafton, this spa is impressive from the outset. Located in a rustic Canadian cottage, the ethos of Ste. Anne’s is to have fun. Unlike most of the spas you’ve been to where it's almost deadly quiet and the staff are Stoney faced, you’ll be greeted by smiling, laughing employees and guests, before you’re whisked away for reiki, hot stone massages, and fantastic facials. Located in the north of Canada, this spa might be a bit out of the way, but it is definitely worth making the journey because, once you’ve had your massage, you can relax in the outdoor Jacuzzi as you watch the aurora borealis light show above your head. That’s the kind of experience you will never forget. If you like to enjoy the scenery while you relax and undergo a much-deserved pampering session, the Scandinave Spa Blue Mountain is the place to be. Located in a UNESCO World Biosphere Reserve, you’ll be able to enjoy Scandinavian baths while looking out at the wonderful mountain scenery. There isn’t much point travelling all the way to Canada for a relaxing break if you aren’t going to take advantage of the stunning views, which is why, if you want to really immerse yourself in Canadian calm, you should take a trip to The Oak Bay Beach Hotel, where you can spend time on the beautiful coast of Victoria, taking hot mineral baths by the sea and using the native seaweed to cleanse your skin. Sounds like heaven, right? Relaxing is exactly what you want out of a vacation, and wherever you go in Canada, you’re never too far from a perfect oasis of calm. Which spa will you visit on your next trip? *This post is contributed by a guest.